THINK YOU’RE TOO SMALL FOR ACV? 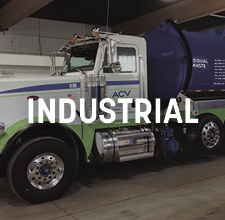 ACV Enviro is an Industry Leader in Environmental, Industrial, and Waste Management Solutions. ACV Enviro services all of your industrial needs from ultra-high-pressure water blasting to general facility maintenance. As a leading service provider, ACV Enviro has the personnel, equipment and technology to handle any service our clients require. 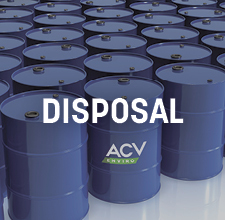 ACV Enviro owns and operates RCRA Part B treatment, storage and disposal facilities. 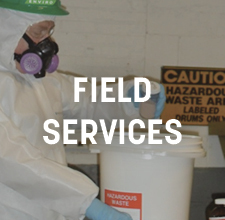 Our facilities are permitted for a variety of hazardous and nonhazardous waste types including liquids, solids, sludges and gas cylinders. In addition, we operate a rotary kiln soil recycling facility for the management of petroleum contaminated soils. Our expertise enables us to assist you with identifying the most cost-effective and environmentally-friendly methods of recycling, treating and/or disposing of all waste streams. ACV Enviro's team has nearly 40 years of experience, providing safe and compliant waste management services to our customers. We are proud to operate carefully engineered facilities, taking every precaution necessary to ensure safety and regulatory compliance. ACV Enviro, with nearly 40 years of experience, provides a variety of environmental solutions tailored to your business or municipality. 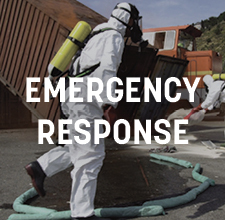 From emergency response to chemical remediation to marine situations â€“ our team provides the most comprehensive one-stop solution to any problem. OUR TEAM'S ATTENTION TO DETAIL, COMMITMENT TO EXCELLENCE AND HIGH SAFETY STANDARDS MAKE US A PROVEN INDUSTRY LEADER FOR FIELD SERVICES. 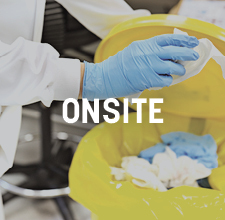 At ACV Enviro, all our degreed Lab Pack Chemists undergo extensive training to assure your wastes are safely and properly characterized, packaged and labeled prior to shipment for disposal or treatment. 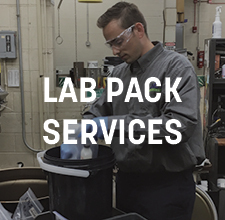 OUR TEAM'S ATTENTION TO DETAIL, COMMITMENT TO EXCELLENCE AND HIGH SAFETY STANDARDS MAKE US A PROVEN INDUSTRY LEADER FOR LAB PACK SERVICES. The demands on your EH&S team are daunting; from the complex maze of paperwork, to over-extended staff, to evolving regulatory requirements, to the ever-changing mandates on environmental management. ACV Enviro's Onsite Team can help. Armed with experience and knowledge, and outfitted with the best technology, highly-qualified and trained personnel, and a safety focus – unparalleled, we are ready to accept accountability for the EH&S work we do on your behalf. Let us become an extension of your team. Let us be your partner. ACV Enviro, a leading environmental services provider, facilitates services on water, tanks, buildings and platforms of major corporations and municipalities. Job after job, from residential to complex MGP sites, ACV Enviro applies its innovative technologies to deliver important cost-savings. For nearly 40 years, ACV Enviro has been in the forefront of developing and delivering decontamination services. 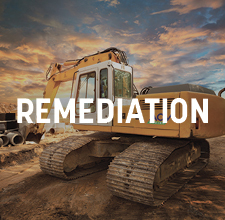 Our team removes contaminants from virtually any media type â€“ helping to build our reputation by successfully removing and remediating all forms of soils and sludges in varying quantities from one drum to multiple dump trailers. DOING THE HAZARDOUS WORK REGULAR COMPANIES CANNOT. Whether it's a pipe rupture, tank fire, natural disaster, oil spill - whatever the emergency - ACV Enviro is there, whenever and wherever you need us. ACV ENVIRO IS ON CALL TO RESPOND TO EMERGENCIES 24/7/365 DAYS A YEAR. Our 80+ industry solutions can be fitted to work with your needs. Private laboratories, research and development centers, hospitals, schools, colleges and universities all generate small containers of hazardous and toxic wastes. ACV Enviro responds to these environmental concerns with a timely efficient and professional approach. The fill included construction and demolition screenings (CDS), and specifically gypsum wallboard, which decomposes in the landfill and produced very lethal concentrations of hydrogen sulfide gas. 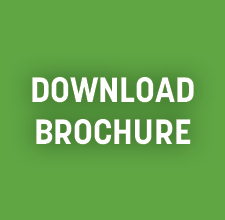 Browse our resource library for a number of forms, brochures and regulations. If you can’t find what you are looking for, just ask – we are here to help! Are you looking for a career where providing environmental solutions in energy, water and waste are part of the job? What about working with a team of professionals solving today’s biggest environmental problems?